Since its inception in 2008, and an appearance in the top-selling Iron Man movie, the Audi R8 has captured the hearts of Americans from every walk of life. With a wide competitive rake and deeply etched lines the R8 looks every bit as fantastic as it performs, and that is saying a mouthful. The 2014 model year has seen marked improvements over previous models and we look for the R8 to get better end better as time carries on. The 2014 model is lighter; it features more defined trim level packaging, a mild aesthetic upgrade, and a new automated manual transmission for consumers who demand it. First, let me say that if you are searching for a grocery getter to haul the curtain climbers back and forth from football and ballet, then you may want to keep looking. The R8 is short on cargo space and passenger comfort is obviously not top priority but it is not designed for such insignificant matters, now is it? It is a mid-engine powered all-wheel drive supercar that starts at approximately $120-grand and tops out around $180,000. This she-devil is made to run and run she will. Under the hood lurks an angry beast. 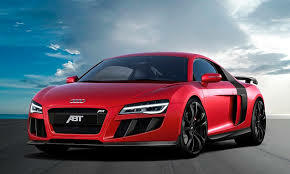 Although there are two engine choices for the R8, there is no scenario that puts it at 0 to 60 in over 4-seconds. Despite the fact that this coupe weighs in at only 3,605-lbs. the smaller of the two engines is a 4.2-liter V8 that produces 430-horsepower and 317 lb.-ft. of torque. 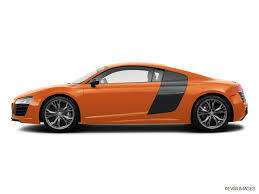 The R8 equipped with the V8 engine can achieve 0 to 60 mph in only 3.9-seconds. The second engine choice is a radical V10-plus which pumps out an amazing 550-horsepower and 398 lb.-ft. of torque. The R8 is available with a six-speed manual gearbox or the new seven-speed dual clutch automated manual transmission, known as the S-Tronic. The S-Tronic can be controlled using the steering wheel mounted paddle shifters. 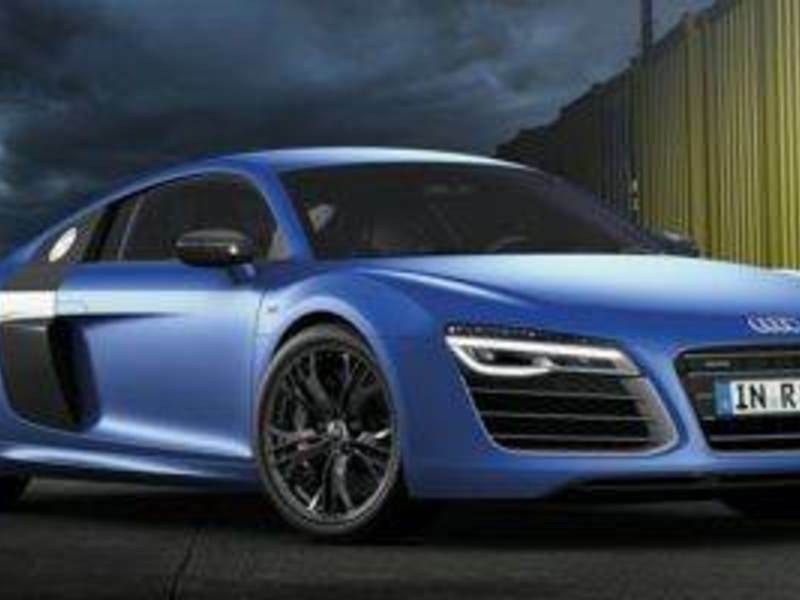 All models of the R8 are all-wheel drive for added traction control and handling performance. Standard safety features include antilock disc brakes, electronic stability and traction control, side impact and side curtain airbags. A rearview camera with center dash mounted LCD monitor display and front and rear parking sensors are available as optional safety equipment. The base model V8 is sold with 19-inch wheels, adaptive suspension, LED lighting, cruise control, power adjustable leather seating, and all of the latest communication and audio gadgets. The V10 features essentially the same equipment but the V10-plus package deletes the adaptive suspension and power seats, adds carbon-ceramic brakes and carbon-fiber exterior accents, and comes with a smaller fuel tank for a more lightweight approach. This is one car that really sticks to the pavement. I have said it before and I will probably say it again. 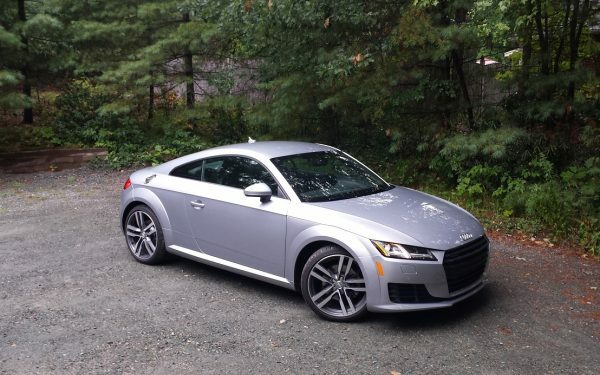 If you have not driven an Audi lately, then you haven’t really driven an Audi. The R8 has power to burn, even with the smaller V8 engine option. It launches hard from the line and accelerates smoothly across the entire throttle curve. You will back down before the R8 does. It dives effortlessly into the curves, clings tightly to the blacktop, and begs for RPMs coming into the straightaways. Its deep melodious exhaust note will awaken the driving enthusiast in you. Normally don’t like Audi. But this looks like one mean sucker!